Zangazour Copper Molybdenum Combine is one of the largest producers of copper and molybdenum concentrates in the region, is strategic supplier of raw material for AMP. Zangazour Copper Molybdenum Combine is among top three companies in the world with its molybdenum reserves. Agarak Copper Molybdenum Combine another largest producers of copper and molybdenum concentrates in the region, is also strategic supplier of raw material for AMP. "Cronimet Group" is the main strategic partner of AMP production having more than 20 year expirience in trading and processing secondary raw materials for stainless steel industry and acting world wide. "Comsup Commodities" is the main consumer of AMP production, having more than 30 year experience on world market in the sphere of non-ferrous and rare metals, concentrates and alloys, as well as raw materials for its production. Wolgograd aluminum plant is one of six largest aluminum producers in Russia. 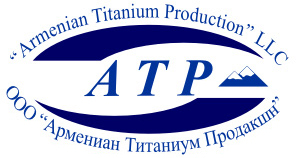 In 1998 its share in production of primary aluminum was 5% in Russia and 0.7% in the world. Mikhailovski ore mining and processing industrial complex today is second enterprise in Russia with iron ore stuff production volumes for ferrous metallurgy. The complex is among the enterprises composing basic industrial potential of Russia. Stakhanovski plant of ferroalloys OJSC is one of the largest producers of ferrosilicon and ferroalloys on the territory of Ukraine. Stakhanovski plant of ferroalloys OJSC is one of stuff suppliers for AMP. Кapan Mining and Processing Enterprise, founded in 1846, is one of the producers of copper, gold-bearing copper and zink concentrates in Armenia.